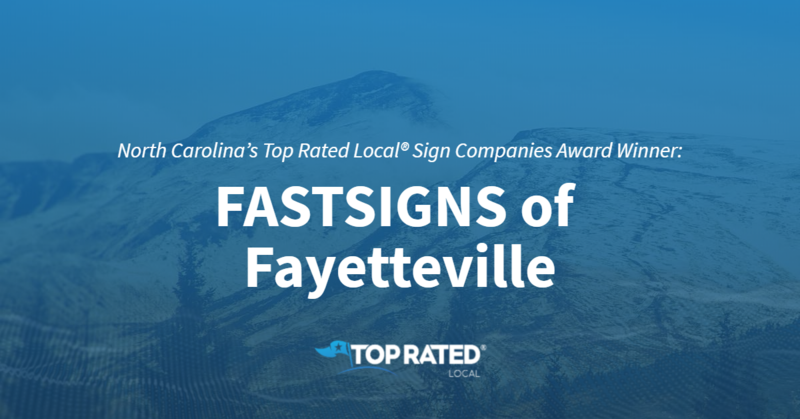 Top Rated Local® is pleased to announce that FASTSIGNS of Fayetteville is a 2019 award winner for sign companies in North Carolina! Visibility is important for every business, and when you want to increase your business’ visibility in Fayetteville, FASTSIGNS is the company to turn to. FASTSIGNS of Fayetteville has received more than 100 reviews on three verified sites with an average rating of 4.87 stars, earning them an outstanding Rating Score™ of 94.70 and a 2019 Top Rated Local award for ranking among the top 10 sign companies in North Carolina! “You have an incredible team of people! Cheyenne was my direct contact for the order. She listened to [me] and answered questions, asked questions to ensure she understood the direction and design I was looking for, and fulfilled the order, surpassing my expectations. The entire team worked quickly. When I would ask for an adjustment to a design, the new sample picture would be sent almost immediately. It is obvious that the employees at this establishment take pride in what they do! The signage that I ordered has already had many compliments! Fantastic job!” – Kelly G.
We wanted to learn a little more about what makes FASTSIGNS of Fayetteville special and how they managed to build such an impressive online reputation, so we took a few minutes to talk with the owner, Vic. The first question we had for Vic was what is it that makes FASTSIGNS unique compared to the many other sign companies in North Carolina. Vic points to their major focus on the customer and their community, and told us that they have a big company behind them with more than 700 centers in nine different countries — this gives the team at FASTSIGNS of Fayetteville a great support system. Vic attributes FASTSIGNS of Fayetteville’s strong online reputation to their commitment to always following up with their customers and immediately resolving any problems their customers may have. Outside of building a powerful online reputation, FASTSIGNS of Fayetteville has gotten their name out there by being involved in government affairs and the chamber of commerce. They also have a corporate marketing team that handles their marketing. There are so many business owners looking to build the kind of online reputation FASTSIGNS of Fayetteville has. When asked what advice he has for them, Vic emphasized the importance of responding to reviews, following up with customers and getting involved in the community. Congratulations to the team at FASTSIGNS of Fayetteville for being a 2019 Top Rated Local award winner, and thank you so much, Vic, for taking the time to speak with us! We highly recommend FASTSIGNS of Fayetteville. Visit their website today! Top Rated Local® is pleased to announce that Sierra Design Signs is a 2019 award winner for sign companies in South Dakota! 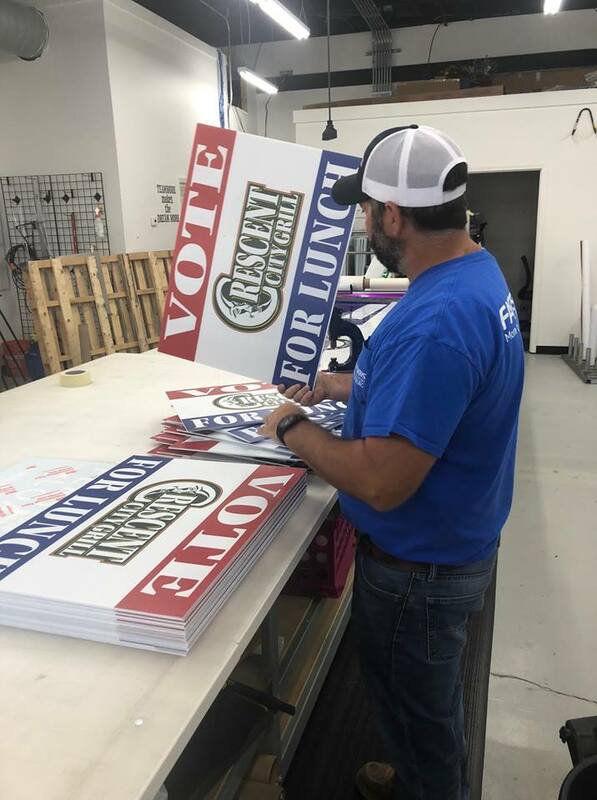 Visibility is key for every business, and for all of your visibility needs in Spearfish, there’s no better sign company to turn to than Sierra Design Signs. Sierra Design Signs has received dozens of reviews on multiple verified sites with an average rating of 4.91 stars, earning them a spectacular Rating Score™ of 94.08 and a 2019 Top Rated Local award for ranking among the top 10 sign companies in all of South Dakota! “I had emailed a design request to Sierra Designs Signs. They promptly sent me a proof and had the work completed within the week. They are SO easy to work with, very open and great with bouncing ideas around. I highly recommend their work!” – Matt K.
Andrea Milano, the owner of Sierra Design Signs, generously gave us a few minutes of her time to tell us about her one-of-a-kind business and its fantastic online reputation. The first question we had for Andrea was what sets Sierra Design Signs apart from the many other sign companies in South Dakota. She points to their 23 years in business and told us that they go the extra mile for their clients, making it a point to always remember them; they use the best products, and they do a variety of things, from promotional products to branding and signs. We also wanted to know what their mission is at Sierra Design Signs. Andrea shared with us that they aim to be a one-stop shop for their clients’ visibility needs. Andrea attributes Sierra Design Signs’ strong online reputation to the good work they do day in and day out. They stand behind that work and it’s always guaranteed. Outside of building a powerful online reputation, Sierra Design Signs has gotten their name out there through advertising in different venues and word of mouth. Congratulations to the team at Sierra Design Signs for being a 2019 Top Rated Local award winner, and thank you so much, Andrea, for taking the time to speak with us! We highly recommend Sierra Design Signs in Spearfish. Visit their website today! 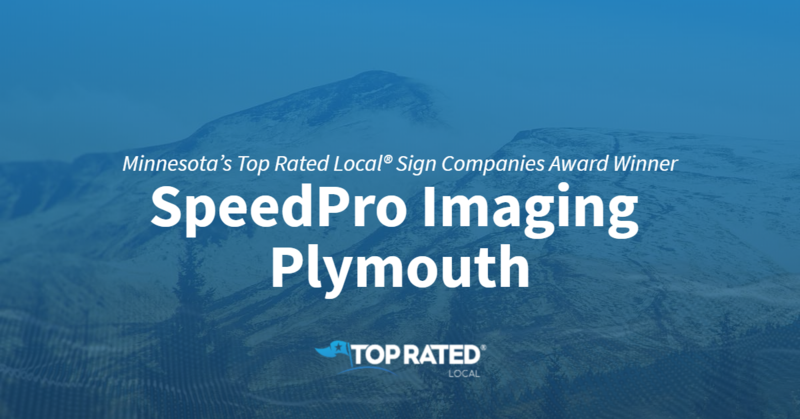 Top Rated Local® is pleased to announce that SpeedPro Imaging Plymouth is the number one sign company in Minnesota for 2019! “SpeedPro Imaging can do just about anything to help you promote your business! Kevin is a very conscientious owner that pays attention to the details! He has a great staff that is very knowledgeable in the latest software, so they can provide the highest =-quality printing with a supefast turn-around time!” -Scott D.
Reviews just like this have helped SpeedPro Imaging to earn a 98.81 Rating Score™, a 4.98 average star rating, and a 2019 Top Rated Local award! Kevin and Sarah of SpeedPro Imaging took some time to chat with our team about the business’ awesome online reputation. According to Kevin and Sarah, SpeedPro takes immense pride in doing things the right way. They said their mission is to, “Do things 100-percent right, 100-percent of the time.” Kevin says that timeliness and flexibility are two of Speedpro’s main focuses. Congratulations to the team at SpeedPro Imaging for being a 2019 Top Rated Local award winner, and thank you so much, Sarah and Kevin, for taking the time to speak with us! We highly recommend SpeedPro Imaging in Minnesota. Visit their website today! 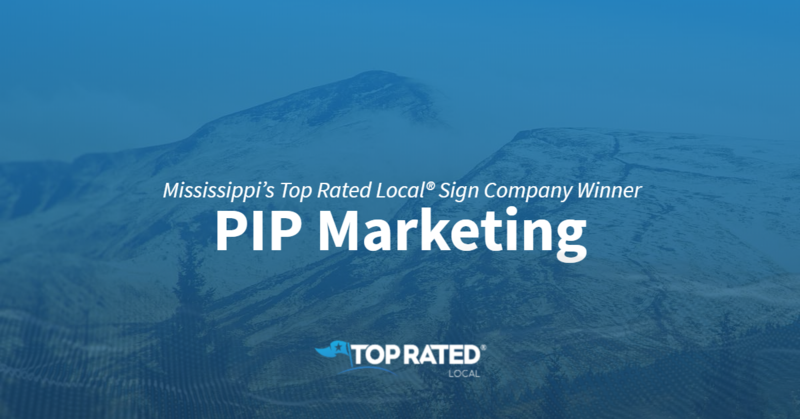 Top Rated Local® is pleased to announce that PIP Marketing, Signs, Print is a 2019 award winner! “I have worked with the staff at PIP three times this summer to produce large, framable seating charts for rehearsal dinners. They were professional, worked with me on a very quick turnaround time, and the finished product was exactly what I wanted. I highly recommend using PIP for your signage needs.” -Lisa R.
Eddie Streety, the general manager of PIP Marketing, took some time to talk to us about the business’ excellent online reputation. Congratulations to the team at PIP Marketing for being a 2019 Top Rated Local award winner, and thank you so much, Eddie, for taking the time to speak with us! We highly recommend PIP Marketing in Mississippi. Visit their website today! Top Rated Local® is pleased to announce that FASTSIGNS of Hattiesburg has earned a spot among the top three sign companies in Mississippi for 2019! “The first time for me to use FASTSIGNS was yesterday. The staff was very professional and helpful. They were able to meet my deadline of less than 24 hrs, and the quality of work was amazing. 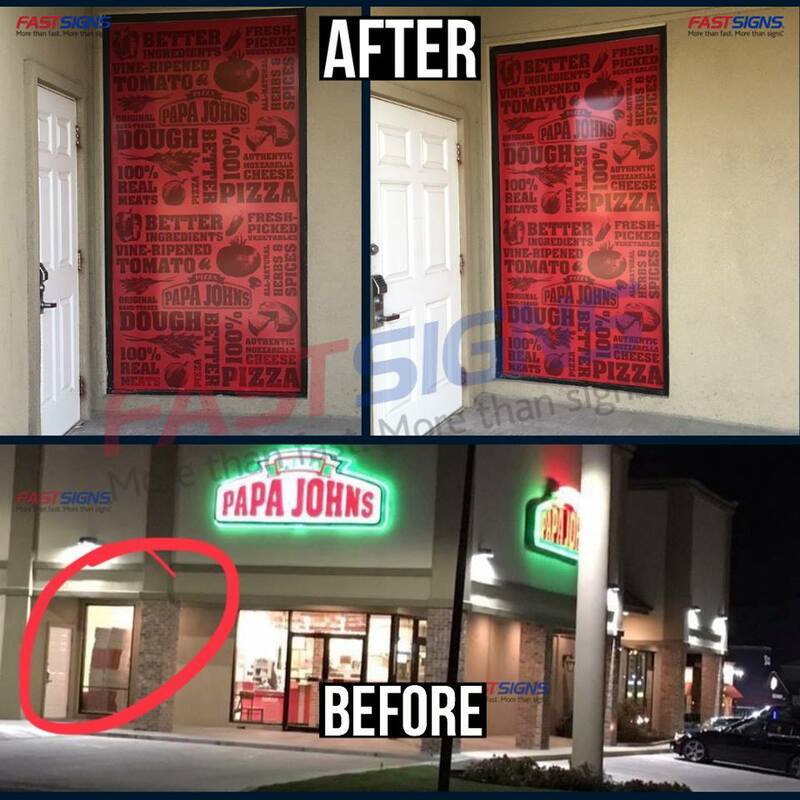 I definitely will be returning for future business and recommending others to FASTSIGNS.” -Brandon R.
Reviews just like this have helped FASTSIGNS become a 2019 Top Rated Local award winner with a 94.00 Rating Score™ and a perfect 5.00 average star rating! Amanda Blackburn, one of the co-owners of FASTSIGNS of Hattiesburg, took some time to speak with us about her business’ incredible online reputation. Everyone at FASTSIGNS of Hattiesburg is fully dedicated to the work that they do. Amanda told us, “We’re here to deliver amazing service, take ownership of everything, commit to continuous improvement, embrace creativity and innovation, build a positive team environment, and make it count! Congratulations to the team at FASTSIGNS of Hattiesburg for being a 2019 Top Rated Local award winner, and thank you so much, Amanda, for taking the time to speak with us! We highly recommend FASTSIGNS in Hattiesburg. Visit their website today! Top Rated Local® is pleased to announce that Signco Inc is an award winner for sign companies in 2019. For all of your sign needs in Kansas City, look no further than this award-winning company! Signco Inc has received many overwhelmingly positive reviews across three different verified sites with an average rating of 4.69 stars, earning them an impressive Rating Score™ of 92.91 and a 2019 Top Rated Local award for ranking as one of the top 10 sign companies in Kansas! “I have been using Signco for a couple of years now. They are great people to work with and have great customer service. I have always been pleased with their final products & services. I highly recommend Signco for handling any of your signage needs.” – K.W. It is because of excellent reviews like this that Signco Inc is now able to call themselves a Top Rated Local award winner! We were excited to learn all about how Signco Inc has been able to build such an impressive reputation, so we sat down with the owner, Mike Sailer. Signco Inc has managed to create an impressive online reputation, so we wanted to know more about what kinds of marketing strategies they have used over the years. Mike told us that while they do some work over social media platforms like Facebook, customer service and word-of-mouth referrals have been instrumental to their success. 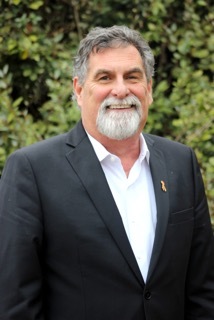 Mike said that it is important that they take great efforts to communicate with their customers through the whole work process, which includes asking for reviews. They have also gotten some attention recently since they’ve gotten to work on a project in conjunction with Walz Tetrick Advertising and the Kansas City Royals to wrap a Street Car with the KC Royals branding! 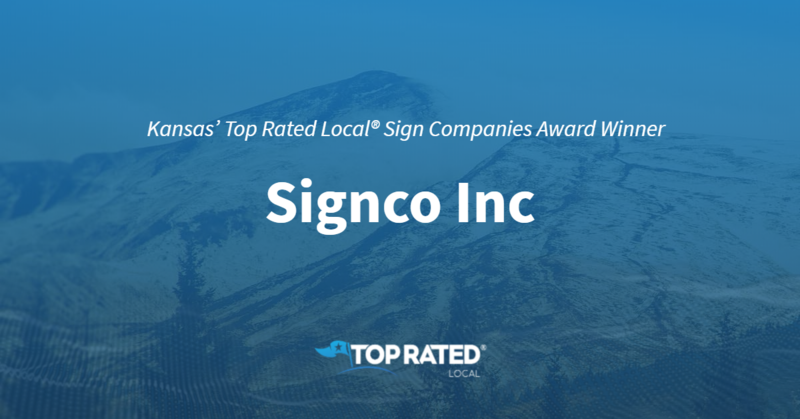 Congratulations to Signco Inc for being a 2019 Top Rated Local award winner, and special thanks to Mike for taking the time to speak with us! Top Rated Local® is pleased to announce that Quik Signs is an award winner for sign companies in 2019. For all of your sign needs in Spearfish, look no further than this award-winning company! Quik Signs has received many overwhelmingly positive reviews across three different verified sites with an average rating of 4.66 stars, earning them an impressive Rating Score™ of 92.60 and a 2019 Top Rated Local award for ranking as one of the top 10 sign companies in South Dakota! “I use Quik Signs exclusively for my business. They are ALWAYS quick, efficient, and produce a quality product for me. Kelsi and her staff really take a lot of pride in what they do. I would highly recommend Quik Signs!” – K.R. It is because of excellent reviews like this that Quik Signs is now able to call themselves a Top Rated Local award winner! We were excited to learn all about how Quik Signs has been able to build such an impressive reputation, so we sat down with the owner, Kelsie Darling. Outside of building a pristine online reputation, Quik Signs also has a strong presence in their community. They sponsor local non-profits, engage in community events, and donate their time by being active members of local community organizations, such as BNI, Young Life, The Chamber of Commerce, and United Way. Congratulations to Quik Signs for being a 2019 Top Rated Local award winner, and special thanks to Kelsie for taking the time to speak with us! 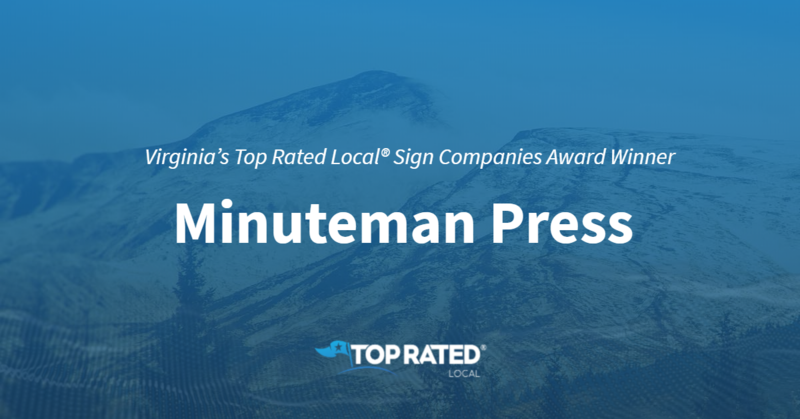 Top Rated Local® is pleased to announce that Minuteman Press is an award winner for sign companies in 2019. Minuteman Press wants to help you to get your logo out there! We highly recommend this sign company for all of your promotional needs. Minuteman Press has received many overwhelmingly positive reviews across three different verified sites with an average rating of 4.84 stars, earning them an impressive Rating Score™ of 94.35 and a 2019 Top Rated Local award for ranking as one of the top three sign companies in Virginia! “Minuteman Press has once again saved me with a large, full-color print job [that] I needed fast. Not only did this print shop deliver on-time, but they also exceeded my expectations with the quality of their work. Their new digital printing equipment is unbelievable. Best of all, their printing prices are lower than Kinkos Fed-Ex Office, and the folks at this copy center actually appreciate my print order business.” – R.H. It is because of excellent reviews like this that Minuteman Press is now able to call themselves a Top Rated Local award winner! We were excited to learn all about how Minuteman Press has been able to build such an impressive reputation, so we sat down with the Marketing Director & HR Manager, Gayle Patrick. Minuteman Press has certainly managed to build an impressive online reputation. We asked Gayle if she would be willing to share some of their marketing strategies with us. Gayle said that Minuteman Press utilizes some social media platforms, and they try to always keep up with their SEO (search engine optimization). They have also utilized Google advertising. While they have managed to stay current in the world of online marketing, Gayle also told us that word-of-mouth is just as important to their business as ever. Congratulations to Minuteman Press for being a 2019 Top Rated Local award winner, and special thanks to Gayle for taking the time to speak with us! 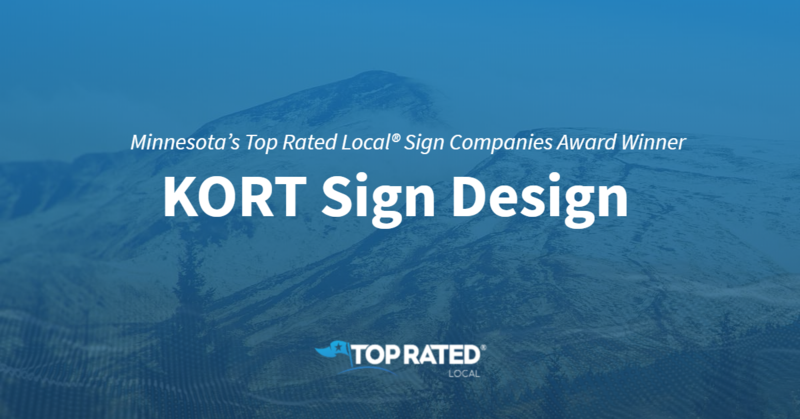 Top Rated Local® is pleased to announce that KORT Sign Design is an award winner for sign companies in 2019. If your business is in need of some excellent signage, we highly recommend giving KORT Sign Design a call! KORT Sign Design has received many overwhelmingly positive reviews across multiple verified sites with an average rating of 4.98 stars, earning them an impressive Rating Score™ of 93.81 and a 2019 Top Rated Local award for ranking as one of the top 10 sign companies in Minnesota! “KORT has done a fantastic job on all of my business signage from wall and window signage to my business vehicle. They have incredible customer service and great attention to detail. I highly recommend them!” – B.B. It is because of excellent reviews like this that KORT Sign Design is now able to call themselves a Top Rated Local award winner! We were excited to learn all about how KORT Sign Design has been able to build such an impressive reputation, so we sat down with the Graphic Designer, Amy Ross. In our chat with Amy, it was made clear that KORT is all about excellence. From the experience of their staff to the way they work together as a team, KORT works hard to give their clients an incredible experience. KORT Sign Design has managed to build a truly impressive online reputation. In fact, online reviews and word of mouth referrals have been their most reliable marketing sources. In reading the reviews, it is clear that customers have appreciated not only the pricing and timeliness of service, but also the creativity and quality of the products KORT has offered. Offline, KORT has marketed their business by being present in their community. Amy told us that they attend networking events and referral groups several times a week. Congratulations to KORT Sign Design for being a 2019 Top Rated Local award winner, and special thanks to Amy for taking the time to speak with us! Top Rated Local® is pleased to announce that Signs and Stuff is a 2019 award winner for sign companies in Mississippi! From vehicle wraps to banners and displays, Signs and Stuff is your go-to sign company in Nesbit. 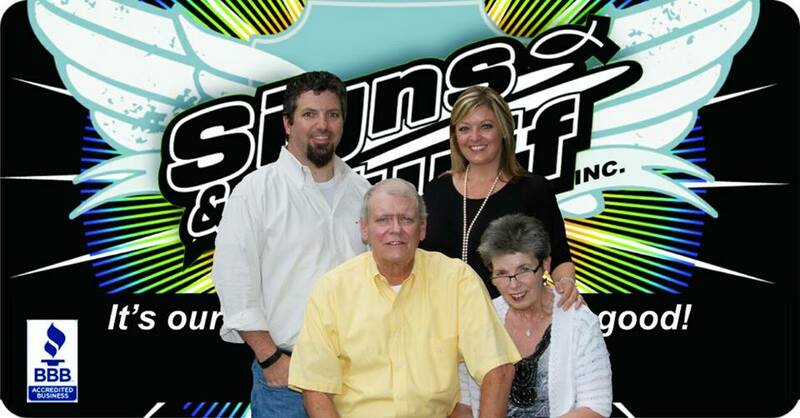 Signs and Stuff has received dozens of reviews on multiple verified sites with an average rating of 4.91 stars, earning them a spectacular Rating Score™ of 93.06 and a 2019 Top Rated Local award for ranking among the top 10 sign companies in Mississippi! “Signs and Stuff has a unique and inspired design ability. Cherie Jones is insightful, and the staff is [made up of] skilled craftsmen. They have always provided quality work for us. Just recently, they created a decal for our van, and it’s beyond our expectations!” – Dee M.
Cherie Jones, the owner of Signs and Stuff, generously gave us a few minutes of her time to tell us about her one-of-a-kind sign company and its outstanding online reputation. When asked about the Signs and Stuff secret to a strong online reputation, Cherie told us that she always does what she says she will, and that at Signs and Stuff, they don’t ask for reviews. Outside of building a powerful online reputation, Signs and Stuff has spread the word about who they are and what they do by being active in their church and community. Cherie also belongs to seven chambers of commerce. Congratulations to the team at Signs and Stuff for being a 2019 Top Rated Local award winner, and thank you so much, Cherie, for taking the time to speak with us! For all of your visibility needs in Nesbit, we highly recommend Signs and Stuff. Visit their website today!